Reclining on a poolside chair with a tropical drink in hand, with nothing but a panoramic view of unparalleled beauty meeting the eye, sweeping across the Bali Sea. Encapsulated in a secluded microcosm of natural splendour and decadent design, you exhale. The new ULU Cliffhouse is opening in Bali, and it’s where we’d rather be. The beach club could be accurately described as a tropical playground in the sky, featuring its very own recording studio, contemporary gallery space, boutique, spa, infinity pool and in-house surfboard shaper that captures the soul of authentic Bali. An oasis of creativity and style, the pristine setting will help you reconnect with the natural world and inspire your creative juices, worlds away from the rush of the city. Enjoy day trips to discover Bali’s vibrant culture and recharge in the luxury of ULU Cliffhouse. 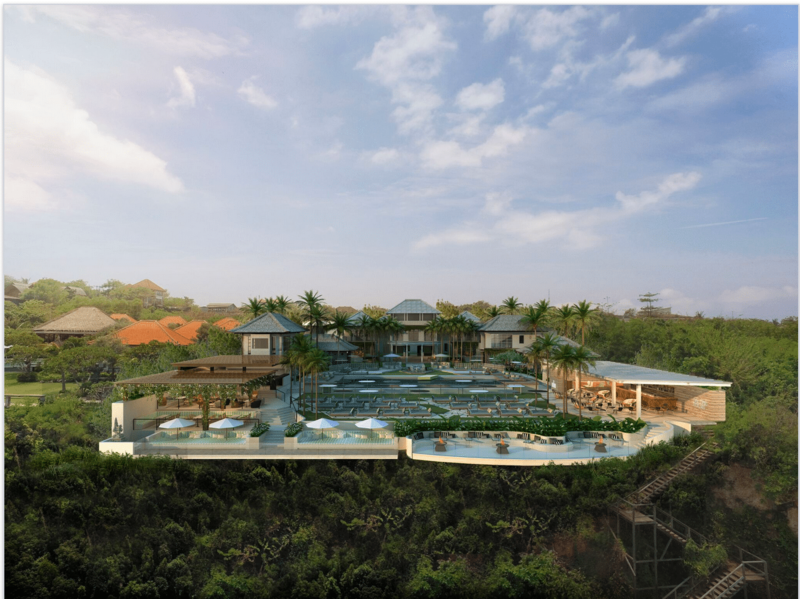 With a fantastic live music program to be enjoyed over a glass of wine or tropical cocktail, the luxury resort is set to become one of Bali’s most established music venues. The resort also offers direct access to the beach where you can sink into the aqua depths of the warm Bali Sea. To plan your dream holiday, visit ULU Cliffhouse online now! Previous Previous post: Find Your Way to The Lost Picnic this Spring!